If you are not set in your decision on buying a new dress for your wedding, there could be some compelling reasons why you should consider to rent your wedding dress. One of the reasons laid out here maybe could help you make up your mind. It is possible that you take a strong liking to a wedding dress and your gut instinct will tell you that it is meant for your big day. It will suddenly not matter whether the dress is a new or a rented one. When you fall in love with a previously worn dress, there is nothing wrong in wearing it on your wedding day. It will not only make you feel great but will also be lighter on your budget. You know well that a new wedding dress may cost you thousands. Renting your wedding dress could be available to you in only a fraction of that expense. This may just help you meet your wedding budget nicely and spend the money on something else like a honeymoon. One of the strongest reasons for liking a wedding dress that has been worn previously is for its unique vintage style. It is like a lovely classic painting. 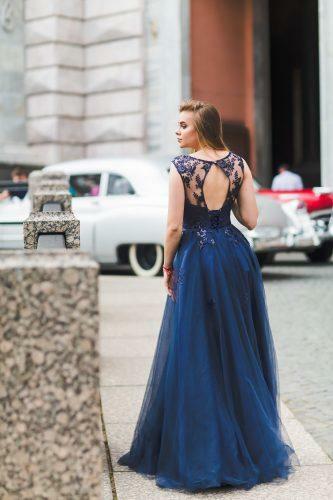 If you like anything that is old, vintage and something that gives you that look of the days that have gone by, it will help you in making your choice of selecting a dress that will give out a nostalgic feel. This is a strong reason for women choosing a wedding dress which has been worn previously. The dress will take on a whole new meaning when you know that your mother or someone dear to you in the family have worn it at their wedding. You may decide to add a modern frill to it or get it updated but you would like to wear the same dress that had been worn by someone close to you. You have the opportunity to show off the old dress in a new way. You may be conscious of your carbon footprints as a bride. Your conscience will probably tell you that you will be making a green choice when you choose a wedding dress that has been worn previously. You are not wasting it and at the same time, you are not indulging yourself in buying new material or a new dress. You may experience a unique feel when you put on a wedding dress. 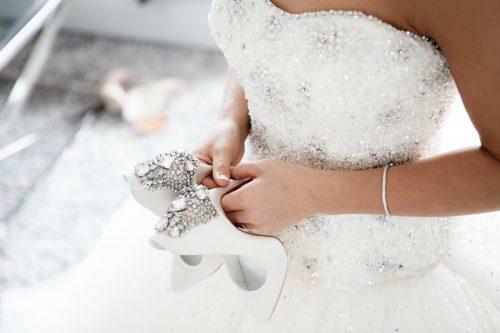 It will definitely not have the same style as you find in the wedding dresses of the current day and fashion. You may look classy and feel proud of the style that you are likely to flaunt and renting is totally OK. There could be many other reasons to rent your wedding dress. How does it suit you as an option? Any thoughts on it? Brides want the perfect wedding dress, but wedding dresses can be incredibly expensive, especially when you take into consideration that, after the wedding, you probably won’t ever wear it again. While it may be your dream to buy the perfect wedding gown, you may find you’d be better off if you were to rent a wedding dress. Not only would it be cheaper, allowing you to put money on other aspects of your wedding, but you may also find that you can rent a wedding dress you really love, instead of settling for something in your price range. Even if cost isn’t an issue, you may enjoy the ease of renting; you don’t have to worry about cleaning or storage and there won’t be any of the hassle associated with “wedding dress preservation”. It’s not a new idea to rent a wedding dress. There have been boutiques specializing in wedding dress rental for years, and they do quite well. There are actually quite a lot of elements to your wedding that can be rented, including tuxedos, bridesmaids’ dresses, tables, chairs, candelabrum and all manner of other wedding essentials. You can even rent a wedding cake that’s just for display, while your guests are served much less expensive pieces of sheet cake at the reception. By being able to rent a wedding dress and other high-dollar wedding essentials, you can actually have a much more lavish wedding that would be available to you if you were buying everything outright. Renting gives you the option of having your dream wedding without having to come up with a dream wedding budget. As you have probably noticed, the economy isn’t so great these days. With so much financial instability looming on the horizon for many young couples, saving money on the wedding has become a top priority for those who want to start their lives together with a bit of a nest egg, something that’s tough to do if you’ve blown it all on the wedding! The rising popularity of designer wedding dresses has begun to have an effect, too. However, unless someone’s independently wealthy, a designer wedding dress with a $10,000+ price tag probably isn’t in the cards unless you’re able to rent the wedding dress. If you’re not convinced of the wisdom of renting, take into consideration that even “cheap” wedding dresses can run $1,000 or more. It’s not uncommon to see a fairly plain dress go for $3,000, depending on the area. Not to mention that there are hidden costs associated with buying a wedding dress, including alterations, preservation, cleaning and other wedding-dress-specific costs. When you rent your wedding dress, you can find nice ones starting around $75, while more expensive designer wedding dresses can rent for $500 or less.